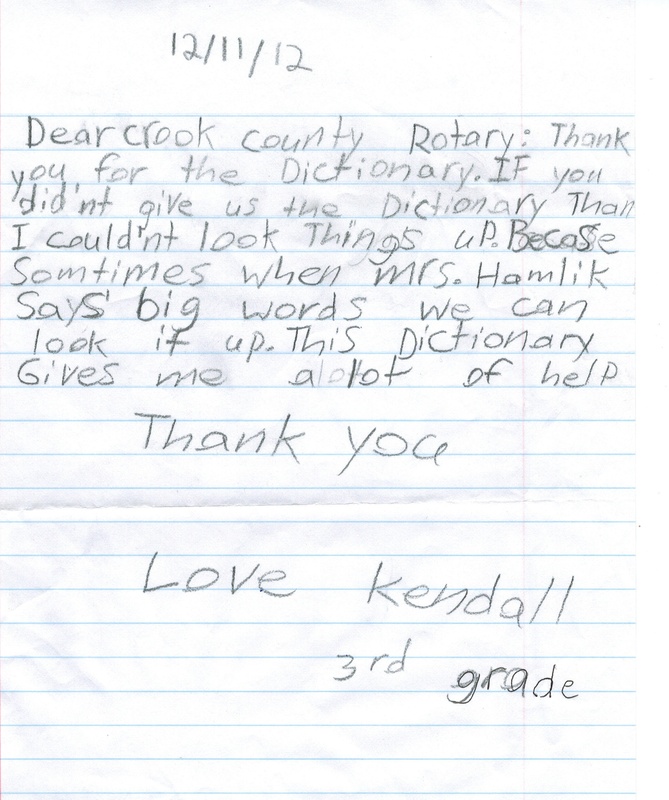 This is just one of the many thank you letters we received from students, teachers and principals letting us know just how much the dictionaries provided by our Rotary Club are used. Dictionaries are distributed to all third grade students in Crook County each year. Posted on February 10, 2013, in Uncategorized. Bookmark the permalink. Leave a comment.